And now for something completely different! It's... Monty... Hall's amazing problem. (If you aren't old enough to remember Monty Python, ignore that bit.) 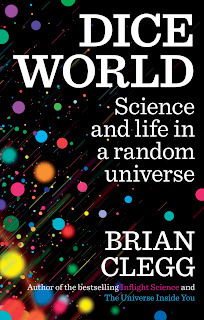 I have mentioned the Monty Hall problem before as a great example of the way our brains struggle with probability, but in researching my latest book Dice World, in which it inevitably features, I was lucky enough to be given some new information by my mathematical/computing friend at Oxford University, Peet Morris. The problem (of which more in a moment) gained worldwide fame when it featured in the 'Ask Marilyn' column in Parade Magazine in 1990. The column was written by Marilyn vos Savant, whose claim to fame was appearing in the Guinness Book of Records as the person with the highest IQ in the world. (She was born Marilyn Mach, but despite appearing to have a phoney attempt to get the word 'savant' into her name, vos Savant was her mother's surname.) What was remarkable about the problem was that so many people - some of them mathematicians and professors - got it wrong. It is fascinating now to look back and see some of the letters published in Parade saying what a terrible mistake vos Savant made. If you already know the problem, you might like to skip the next bit. It is based on the game that ended the quiz show Let's Make a Deal, hosted by Monty Hall. In the version described by vos Savant, the winning contestant is given a choice of three doors. Two have goats behind them, one has a car. It's a purely random choice, so when the contestant picks a door - say door 2 - there is a 1 in 3 chance they are right and a 2 in 3 chance they are wrong. The game show host now opens one of the other doors and shows a goat. Finally the contestant is given a choice. Would they like to stick with the door they have, or switch to the other unopened door? The question is, should they stick, should they switch, or does it not matter (probability wise) which they do? The vast majority of people can see this is very simple. There are two doors available (because we can discount the one the host opened with a goat behind it). One has a goat, one has a car. So it's 50:50 which will be right. This means it doesn't matter if you stick or switch. The vast majority of people are wrong. You will double your chances of winning if you switch. Here's one explanation of why. Remember at the start, there was a 2 in 3 chance the car was behind one of the other two doors. All the game show host does is show you which of those two not to choose - but there is still a 2 in 3 chance the car is there. So you ought to switch. This only works because the game show host has information you don't. He selected a door he knew to have a goat behind it. I'll come straight to the point... you blew it! [repeats the problem] Let me explain: if one door is shown to be a loser that information changes the probability to 1/2. As a professional mathematician, I'm very concerned with the general public's lack of mathematical skills. Please help by confessing your error and, in the future, being more careful. - R. S. PhD, George Mason University, Fairfax, Va.